We mess up. We make a bad choice. We wonder down the wrong path. Someone does something nasty to us and things go south. Isn’t it a huge relief to know that God promises to work it all for our good? 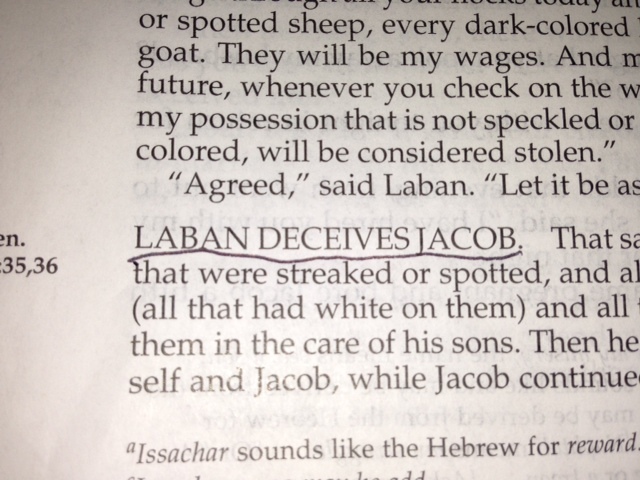 This is the theme that keeps running through my head as Jacob deceives Isaac and Esau threatens to kill Isaac who runs away to live with Laban and then spends many years involved in a mutual game of deception with Laban. Then Joseph’s brothers sell him as a slave and tell their father that he’s dead. The treachery goes on – page after page. Yet, in each instance, God works it all out for their good as they turn back to him, time after time. Reading this brings me peace. God was patient with them – he’ll will be patient with me. God was always there for them – he’ll always be there for me. 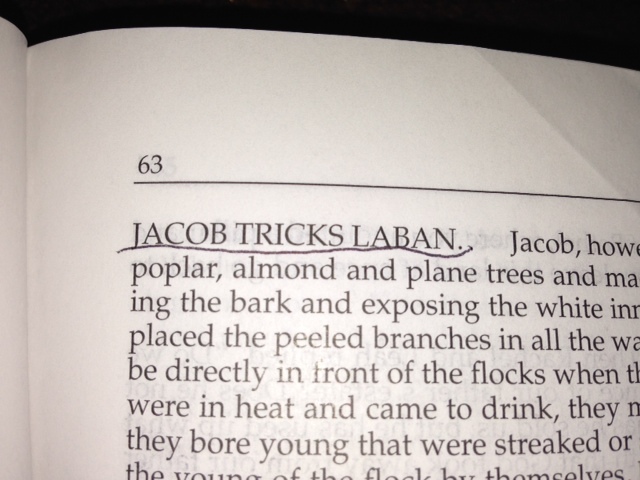 They sinned and rebelled but God worked it all out for them just like he works it out for me. And he’ll be patient and work things out for you, as well. Because we all love him.